The pair of Swivel/Adjustable Wall/Ceiling Speaker Mounts from Pyle Pro is designed to mount large and small speakers. 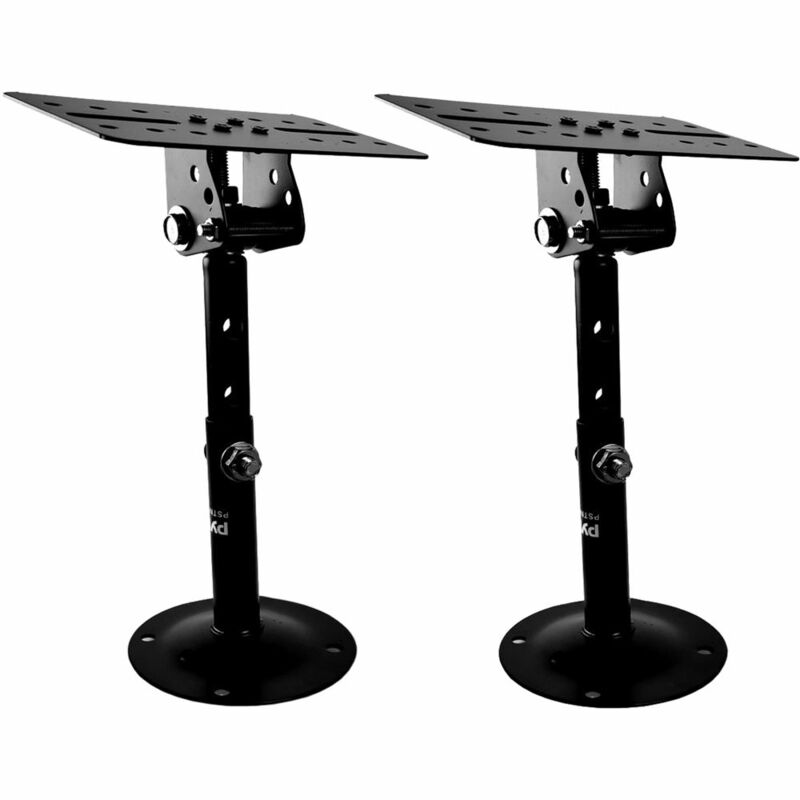 The bracket stand has angle, tilt, and rotation adjustments, which allows you to mount speakers weighing up to 75 lb. The speaker mounts are made of solid-formed steel, and the bracket stands use solid-steel pins that serve as a safety stop.